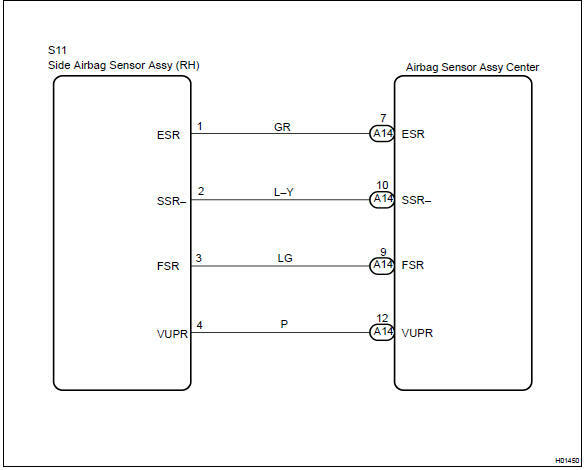 The side airbag sensor assy (rh) circuit consists of the diagnosis circuit and lateral deceleration sensor, etc. It receives signals from the lateral deceleration sensor, judges whether or not the srs must be activated, and detects diagnosis system malfunction. Dtc b1140/32 is recorded when occurrence of a malfunction in the side airbag sensor assy (rh) is detected.